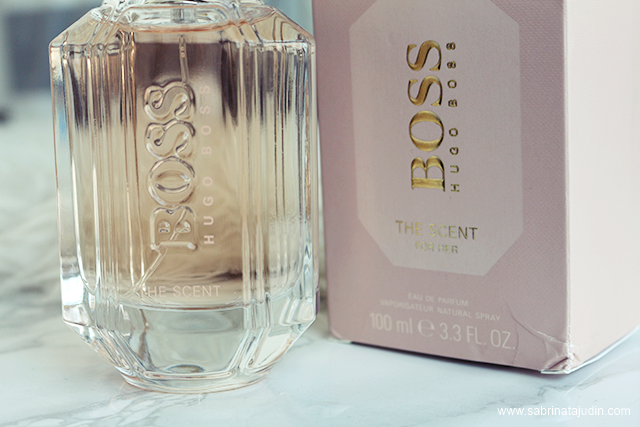 This October be overwhelm by this new scent from HUGO BOSS, The Scent for her. It is inspire by a journey of powerful seduction and it said that it is from the creative vision as an Artistic Director for BOSS women wear. This scent describe as a sublime feminine elegance, warmth and seductiveness. The bottle it self looks very elegance yet modern with champagne rose liquid in it. With hard embossed BOSS logo on the slanted gold cap. It is actually looked like a men cuff-link. 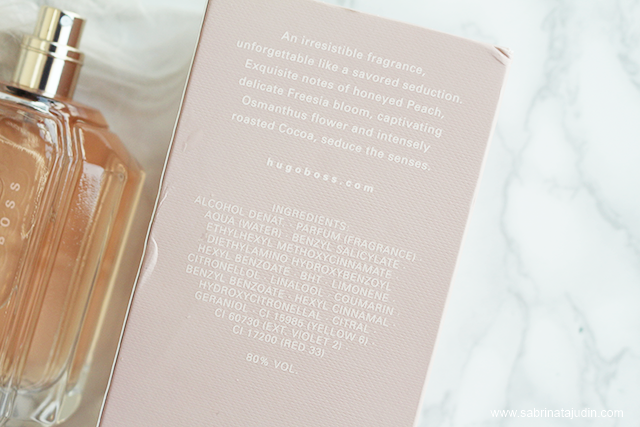 The top notes are Honeyed peach & Freesia. Followed by the middle note, Osmanthus the oriental flower & the base note, roasted cocoa. It is fruity but not too sweet. 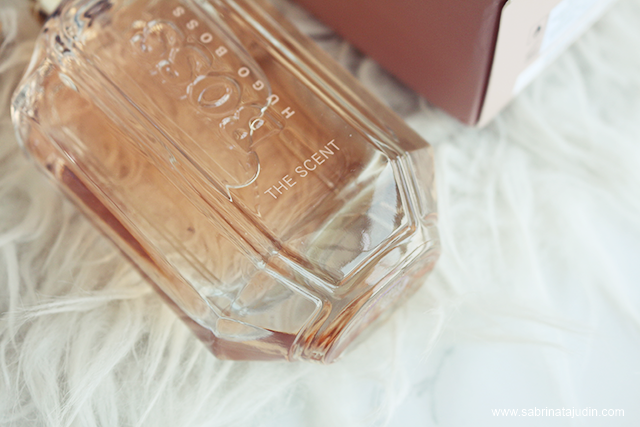 It has a fresh scent to my opinion and perfect for effortless casual romantic day time. 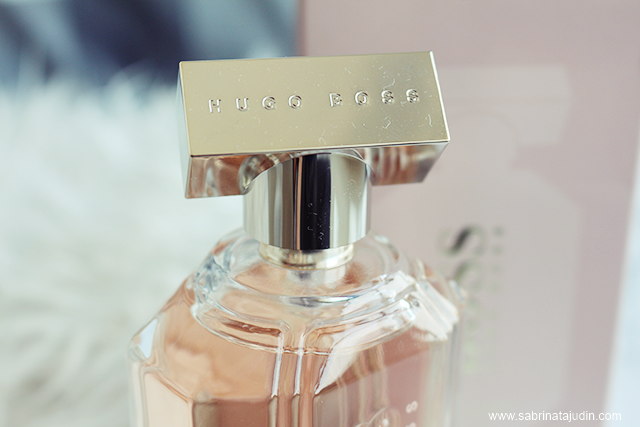 It reminds me of my favorite scent in a "floral" version which is the Dolce Gabbana Dolce fragrance. I have use this perfume since I got it and I felt that the fragrance lasted on me for about 4-5 hours. The ad for this scent featuring model Anna Ewers shows a seductive scene reassemble on how this scent is described, an intensity that steadily builds to draw the BOSS man and BOSS woman closer. 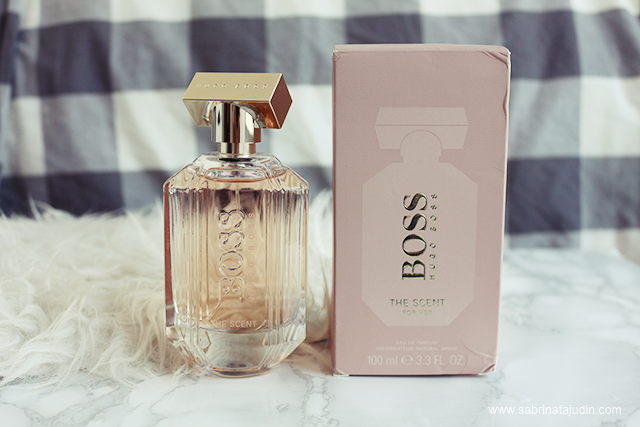 BOSS THE SCENT for her EDP - RM214.00 (30ml), RM311.0 (50ml), RM427.00 (100ml).